Small luxury SUVs don’t necessarily have to compromise sporty driving dynamics and sleek looks, nor do they have to skimp on space and upscale appointments. The new Mercedes-Benz B 250 4MATIC Sport Tourer is proof, and it’s on sale now at Mercedes-Benz Burlington. 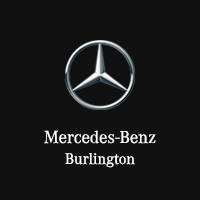 Get in touch with our team to schedule your test drive and see for yourself just how exceptional this luxury vehicle is. Critics have raved about the new Mercedes-Benz B-Class series, and it’s no wonder why, with models like the Mercedes-Benz B 250 4MATIC Sport Tourer in the lineup. A turbocharged four-cylinder engine under the hood boasts incredible power output, yet an ECO Start/Stop system maintains highly respectable fuel economy returns. With 4MATIC all-wheel drive installed, you’ll experience control and safety as you never have before. And that’s not to mention the array of advanced entertainment and driver assistance technologies that will completely revolutionize your drive, and the utterly versatile cabin that will accommodate your every passenger and cargo need. However you look at it, the new Mercedes-Benz B 250 4MATIC Sports Tourer is a knockout, and Milton and Hamilton drivers will certainly agree.